Welcome to Katfrog's Corner: The Legacy of Fred Phelps Sr. 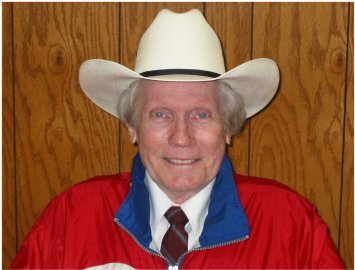 The Legacy of Fred Phelps Sr.
Update: Added link to the Patriot Guard Riders website. Yet this man, who enthusiastically spewed hatred and angry rhetoric at every opportunity, leaves behind a legacy not in the form of the WBC (which we all hope will soon fall apart without Phelps). Instead, Phelps leaves behind the Patriot Guard Riders, a group of motorcyclists who act as an honor guard at funerals. He leaves behind Respect for America's Fallen Heroes Act and the Honoring America's Veterans and Caring for Camp Lejeune Families Act of 2012, both of which set up boundaries for picketing military funerals. Phelps leaves behind communities of people who might never have met or become friendly had they not needed to protect themselves from the WBC. In the path of his hatred, people learned to be kind to one another and help one another. By seeing his example, some may even have learned tolerance towards others. That is Phelps' real legacy, the love and kindness created by communities in response to the WBC, the increased public support of gays and lesbians everywhere. In light of this legacy, I will not be picketing Phelps' funeral or memorial service. I only hope that we remember our tolerance and kindness from now on, and that society doesn't need another Fred Phelps Sr. to show us what happens when these attributes are lost.